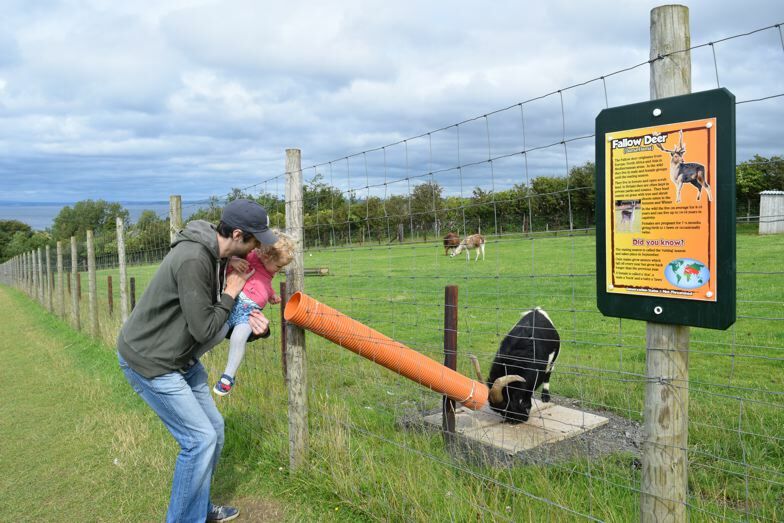 It was a certain little lady’s second birthday last week, so we thought we’d go on a wee family trip to Heads of Ayr Farm Park. It rained on us a little on the drive there and we were swithering over whether to go somewhere else entirely, but we decided just to go for it. Luckily the sun shone on us for the rest of the day! 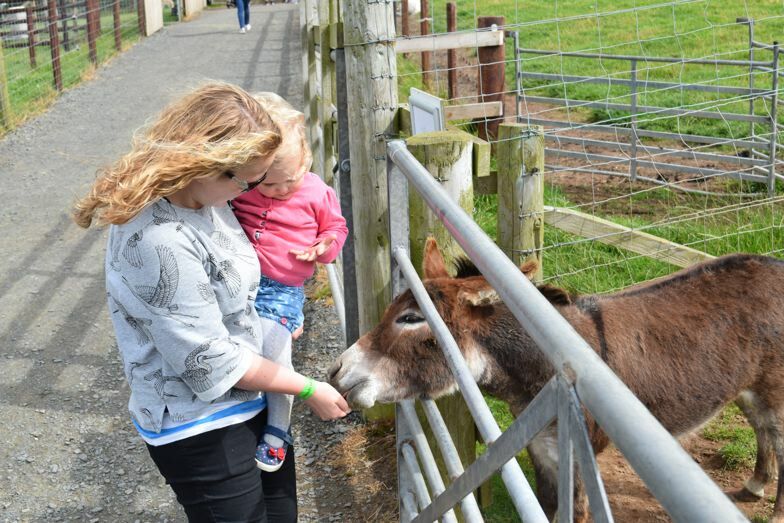 On arrival, there was immediate excitement on the little lady’s part when she spotted the couple of ponies and some donkeys next to the car park. After a minor meltdown (she apparently wanted to stay exactly there and make donkey noises for the rest of the day) we made our way to the entrance. We arrived at lunchtime, so the first thing we did was go to the cafe. It wasn’t too busy (the schools are back now – yay!) 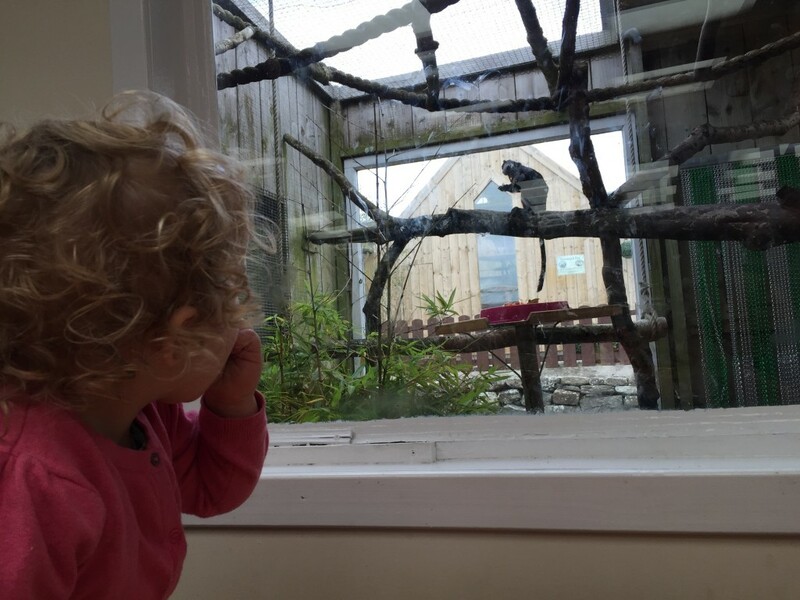 and much to the little lady’s delight we managed to get a seat right next to the tamarin enclosure; yes, we actually had lunch with a monkey. The cafe feels a bit cafeteria-esque, but the food wasn’t bad. They sell your usual soups, toasties, potatoes, paninis etc. with a couple of daily specials. I had a toastie and husband had a potato. Nothing gourmet, but it tasted nice. The outdoor play area is massive. 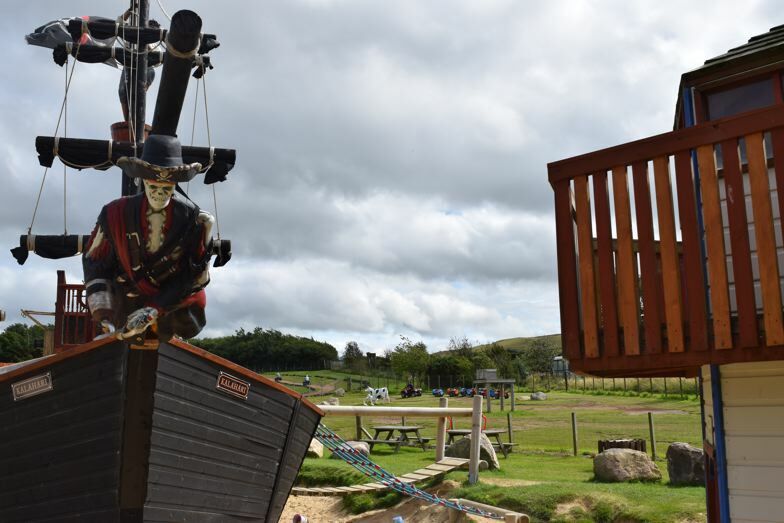 There are a few big jumping pillows, loads of trampolines, a big pirate ship to climb on, a few different sandy play areas, an obstacle course, lots of bits to climb on, a few big slides and some toy diggers to climb on and play with. I’m sure I’ve probably forgotten a few things too. One of the jumping pillows and a few of the trampolines are dedicated for under 5’s. 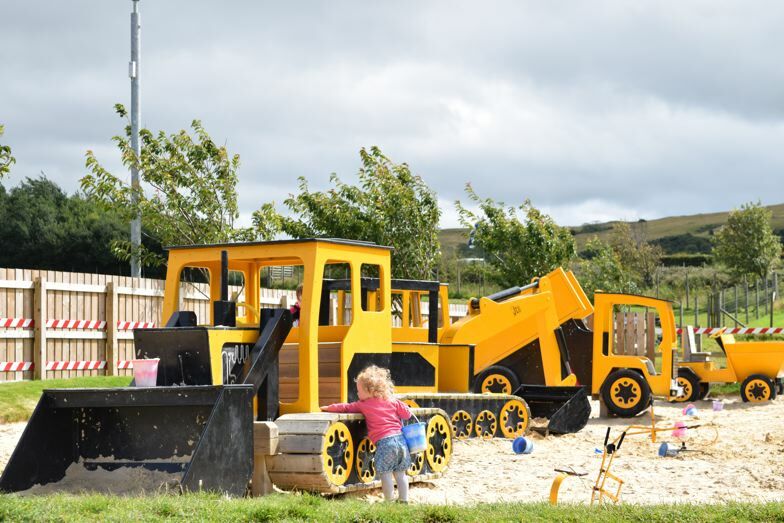 There’s also a sandy play area specifically for the younger kids too. 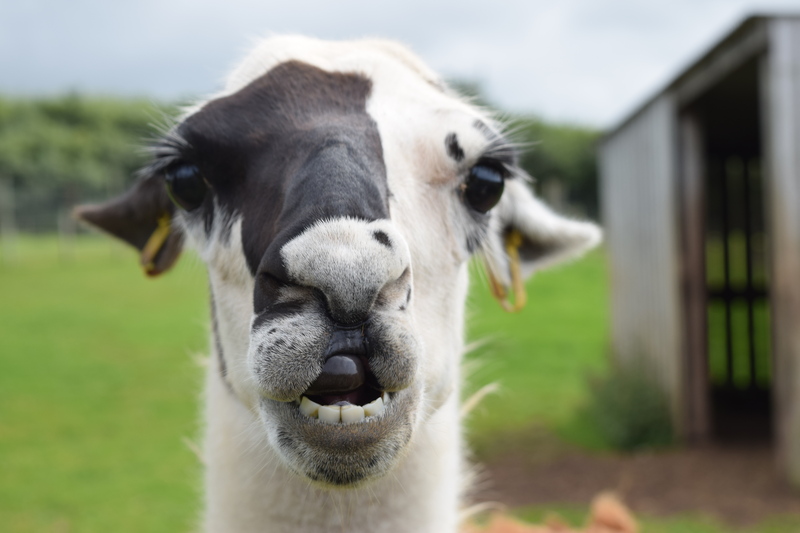 They have a huge outdoor farm animal zone with goats, llamas, sheep, donkeys, guanaco, wallabies and camels. You can buy food for 50p per bag to feed them. They really really like to be fed; it’s worth the 50p. They have a barn with small animals (rabbits, rats, guinea pigs etc.) and quite a few different enclosures around the place with otters, lemurs, raccoons, prairie dogs and various small primates amongst lots of others. If it’s not such a nice day, Heads of Ayr also has a big indoor soft play area (I think it’s relatively new) with a dedicated toddler zone. We didn’t go downstairs into the main play area – the little lady was perfectly happy playing in the toddler zone for an hour. 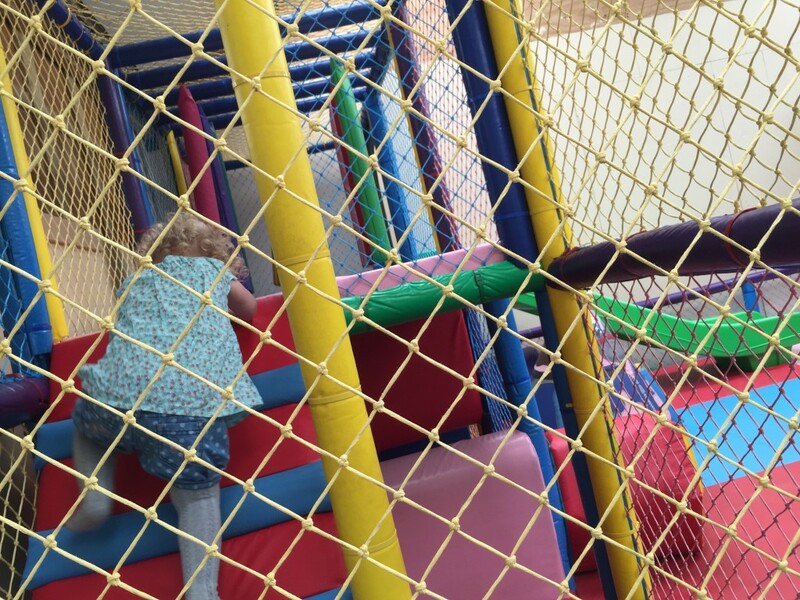 The toddler zone has a few small slides, ball pool, bits to climb on and quite a few things to play with. The little lady loved it – she would’ve stayed much longer in here had we let her. It’s £10.50 for adults and £9 for children 2 and over. (We really should’ve gone the day before her second birthday, shouldn’t we?) It is quite pricey, but you could easily spend the entire day there. And if you take your own picnic, you don’t need to spend any more money once you’re there. There are a couple of things that cost extra including the bumper boats, quad bikes and the barrel ride. But everything else is included in the entry cost. The little lady had an absolute blast. 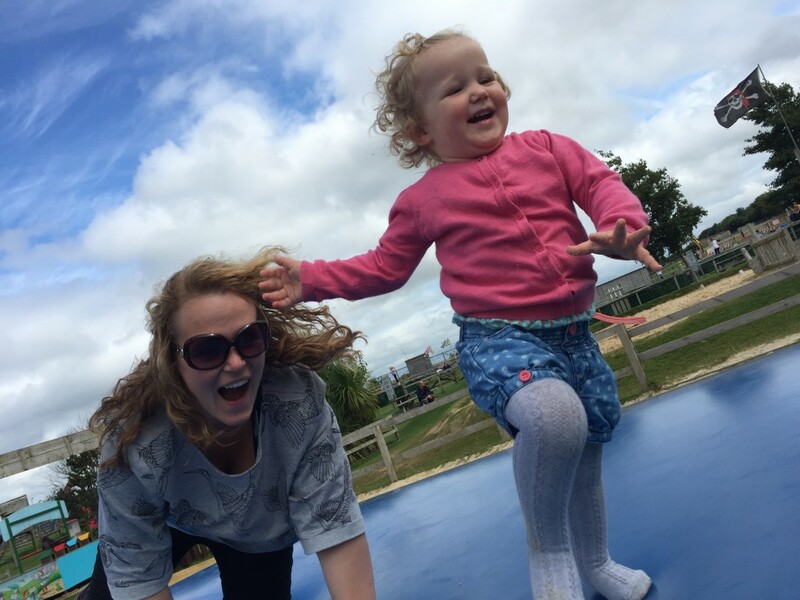 There’s so much to do and she loved every bit of it; playing in the sand, jumping on trampolines, feeding the goats, the soft play, talking to the rabbits. There honestly wasn’t a bit of it she didn’t enjoy. It wasn’t too busy when we were there and we really enjoyed it too. Especially the jumping pillows. 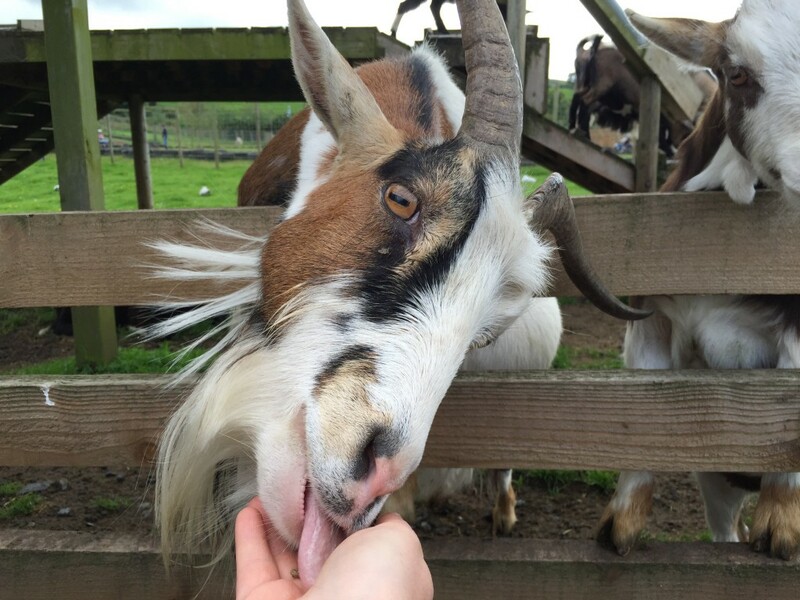 Heads of Ayr Farm Park is located on Dunure Rd, Ayr, KA7 4LD. I have 3 kids and we have been loads to heads of ayr. Always have a great day out. Always need to get there early though to make the most of the day. Fab place. Whole family loves it. Brilliant day out. Weve been a few times over the past few years. Love it at Heads of Ayr. Beware! Before mid March NOTHING is open except the soft play area. Apparently they can take you to the little animal barn in groups but only at set infrequent times. This is not made clear at the door. We’ll come back in summer though.